Fifth and Columbia Tower is a 660ft (201m) tall skyscraper approved for construction in Seattle, Washington. 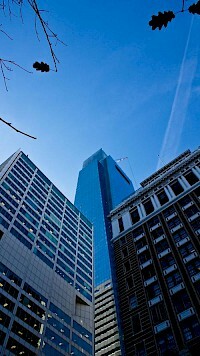 It will be completed in 2011 and have 43 floors. 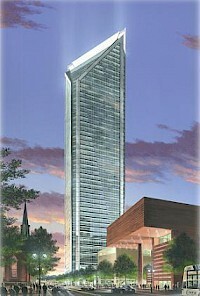 It was designed by Zimmer Gunsul Frasca and is being developed by Daniels Development Company. When the building is completed it will be the seventh tallest building in Seattle, and the tallest building completed since 2006. Four Seasons Hotel Baltimore and Residences is a highrise hotel complex building under construction, located in Baltimore, Maryland. The building is expected to rise 494 feet (151 m). 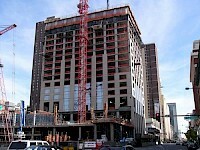 The building's construction began in 2007 and is expected to be completed in 2010. This building was originally planned to be constructed as two towers, each having 22 floors 294 feet (90 m). Four Seasons Private Residences Denver is an under construction, 565 feet (172 m) tall skyscraper in Denver, Colorado. It is planned to be completed in 2010 and have 45 stories, and 695,000 sq ft (71,209 m²) of usable floors space. It is estimated to cost $350 millon, which would make it the most expensive privately-owned building ever constructed in Denver. The Franklin County Government Center is a government complex in Columbus, Ohio. The tallest building in the complex is the 27 floor, 464ft tall Franklin County Courthouse. 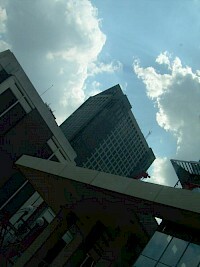 It is the 7th tallest building in Columbus. Other building include 19 floor Municipal Court, and the 10 floor Hall of Justice, both designed by Prindle & Patrick. The 7 floor New Franklin County Hall of Justice will be completed in 2010.